Meeting Assistant is a Salesforce-based meeting productivity software designed to optimize sales processes. Its features include a meeting milestone timer, actionable agenda templates and questionnaires, reports, instant updates, and more. We compiled Meeting Assistant user reviews from around the web and determined that it has generally positive ratings. We also shared its available pricing options. Users who recommended Meeting Assistant said that it is easy to use and is effective in optimizing sales meetings due to its seamless integration with Salesforce. 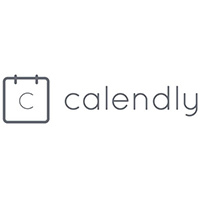 They like how it offers customizable templates for meetings and agendas. Great customer support was also cited. Only one negative review about Meeting Assistant can be found on user reviews online as of the date this was written (07/31/2018). The user complained that there were confusions when it comes to assigning user approvals and access. It was eventually resolved with the help of Meeting Assistant’s customer support. A user who left a positive review of Meeting Assistant on AppExchange said that it is useful when it comes to preparing agenda and meeting notes. He likes how it allows him to customize templates for a more personalized approach to sales. According to him, the software integrates seamlessly with Salesforce and is also a great combination with other apps that he is using such as Cirrus Insight and Google Calendar. A user who left a negative review of Meeting Assistant on AppExchange said that his team encountered some issues with user access. According to him, some of their salespeople had difficulties accessing meetings and data. He also said that another downside was the fact that he couldn’t automatically set the meeting report to his desired file extension which could be time-consuming. Meeting Assistant has two subscription plans: Monthly ($20/user/month) and Tailored (customized pricing). The main difference between the plans is the ability to design the system based on a user’s business needs and existing processes. Companies that require 50 licenses or more need to contact their sales team directly to inquire for pricing details. Check out the list below of some of Meeting Assistant’s features. Is there an option to request for a product demo? Yes, interested users may request for a live demo here. How does Meeting Assistant help eliminate back-office and data entry tasks? Meeting Assistant eliminates time-consuming back-office work and data entry tasks by optimizing the sales process of a business. It enables users to prepare meetings with various agenda templates, take notes easily, and sync meeting minutes to Salesforce. Who can benefit from Meeting Assistant app? 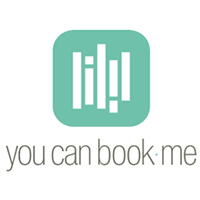 Meeting Assistant is designed specifically for sales teams. It can be used in various industries such as equipment sales, insurance sales, real estate, automotive sales, business consulting, and more. This video provides an overview of how Meeting Assistant helps optimize the sales processes of a business. Not sure if Meeting Assistant is the right fit for you? 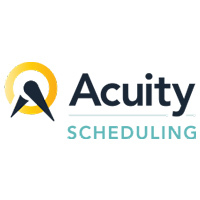 Read our reviews of all top appointment scheduling software or check out one of these three Meeting Assistant alternatives.